Psych Your Mind: Science and The Secret: Can beliefs create reality? Science and The Secret: Can beliefs create reality? A few years ago a book and film called The Secret took the country by storm, partly thanks to Oprah's glowing endorsement. Its central principle, and that of the 2010 sequel The Power, is the law of attraction, the idea that "like attracts like"- negative thoughts attract negative events, and positive thoughts attract positive events. The Secret takes the power of positive thinking to an extreme. If you want a particular job, it's not enough to just be optimistic about your chances of success - you have to believe that you already have the job and act as if it's already yours. 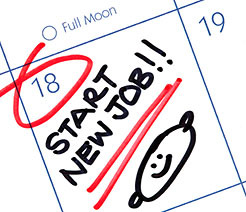 Go buy new work clothes, restructure your schedule around the job, and prepare yourself mentally for your new life. Although The Secret purports to be rooted in science, many of its claims are controversial - not only because they reinforce a blame-the-victim mentality, but because they rely heavily on pseudo-science, such as the idea that quantum physics is the operating mechanism behind the law of attraction. 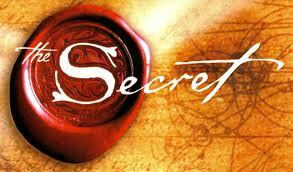 After reading The Secret, I decided to put it to the test in my own life. But rather than having a testing mentality, which I knew would defeat the purpose, I tried suspending my usual critical mind and really believing in the secret for a few days, just to see what would happen. I started with stress. Stress is something I definitely don't want, but as a graduate student (and as a human being) stress seems to be inevitable. I wondered what would happen if I were to truly believe that regardless of what happens or how much I have to do I'm actually carefree and relaxed. I pretended that the stress I felt was really just an illusion, and the truth was that everything was fine. In doing this, I really came to believe that it was true, at least for the moment. On a certain level, everything was fine, and I was fine. I could see how my usual way of talking and thinking, including my efforts to de-stress, had only reinforced my sense of myself as a stressed-out person, leaving little room for me to be anything else. The same might be true for someone who identifies as a "shy person," for example, and becomes trapped in that label. 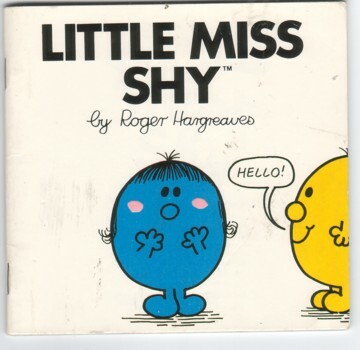 There's nothing wrong with embracing shyness, but if you truly want to be more outgoing, believing that you are outgoing (or at least that you have an outgoing side) may work better than trying to be outgoing (and feeling like it's a false self). A more realistic approach could be to think in terms of capacity - to believe, I have the capacity to be relaxed, or to be outgoing. When it comes to learning and intelligence, an incremental view like this is likely to be more effective, since occasional (or sometimes frequent) failure is inevitable no matter how much you believe in yourself. Of course, there are limitations to this approach, since some things cannot be changed. What about when we believe something that is unlikely to be objectively true? For example, that we're superior to most other people, that our romantic partner is the most amazing person in the world, or that life has only good things in store for us. It turns out that people who delude themselves in these common ways are happier and healthier. Contrary to the assumption that mental health is defined by being in touch with reality, depression is characterized by a more accurate view of reality, hence the term depressive realism. To confront life's harsher realities without becoming overwhelmed with despair is a noble but difficult pursuit: most of us seem to need some degree of illusion in order to function. The Secret capitalizes on this ability to successfully delude ourselves. But such delusions can come at a cost, since things don't always turn out as you hope they will. For example, as a Californian, you'll probably feel less anxious if you reassure yourself that a major earthquake is unlikely to hit anytime soon, but that belief might also prevent you from adequately preparing yourself for one. Although The Secret takes it to an extreme, there is truth to the idea that mind can influence matter when it comes to the body. Decades of research have demonstrated that elevated stress levels can increase inflammation and compromise immune functioning and cardiovascular health over time. This does not mean that stress directly causes diseases like cancer, as some might suggest, but an over-reactive stress response can make people more vulnerable to poor health outcomes. 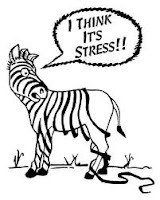 In Why Zebras Don't Get Ulcers, Robert Sapolsky describes why humans are more vulnerable to stress-related illnesses like ulcers and auto-immune diseases: other animals experience "stress" at critical moments like when escaping a predator, but because of the demands of modern life (and perhaps also our capacity for more sophisticated cognitions like worry) we're more likely to be in a constant stress-mode that wears on the body. Although stress might contribute to physical illness, it is by no means the only cause, so if you get sick, don't blame yourself - it may very well have little to do with stress. But reducing stress certainly can't hurt. Negative thinking patterns can also change the structure and chemistry of the brain. As the saying goes, neurons that fire together wire together - the more you respond to negative events with negative thoughts, the stronger those particular neural pathways become, and the harder it is to respond differently. But this also works the other way around: Making a conscious effort to lead your thoughts to a more positive place - whether through meditation, cognitive behavioral therapy, or another practice - can literally change your brain, making constructive responses more automatic. To learn more about neuroplasticity, read Norman Doidge's book, The Brain That Changes Itself. Expectations are powerful forces. One of the most well-established findings in social psychology is a phenomenon called the self-fulfilling prophecy, a process through which our expectations impact the way we behave and interpret others' behavior, which in turn elicits the very outcome that confirms our expectations. In a classic study that has been replicated multiple times, teachers were told that certain randomly-selected students were about to blossom intellectually. This expectation, though based on false information, led the teachers to behave differently towards these students - asking them more questions, being more patient with them, etc. - and the students in turn performed better. This phenomenon is especially problematic when it comes to expectations that educators and others have based on gender, ethnicity, or other group differences. The self-fulfilling prophecy is a central mechanism through which false stereotypes are reinforced. But it can also be put to good use, especially if expectations for everyone are positive. The self-fulfilling prophecy can also (sometimes) serve us well when it comes to health, as in the case of the placebo effect. 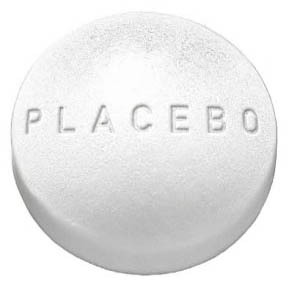 The placebo effect refers to the potential for interventions that have no known clinical significance (e.g., sugar pills) to elicit favorable responses (e.g., headache relief) by virtue of patients' assumption that the placebo is real and will be effective. A placebo is a standard control condition in medical studies - it serves as the comparison against which a new treatment is measured. But it seems to have a mind of its own: it tends to elicit surprisingly strong effects, and some reports say that it's getting stronger, making it more difficult for pharmaceutical companies to demonstrate the effectiveness of new drugs. The placebo effect may also operate when it comes to certain types of alternative remedies that have no scientific basis: if people believe that a sham treatment will relieve their pain, they may in fact experience reduced pain. Even for people who don't believe in the effectiveness of a placebo, through the process of conditioned learning, a stimulus that is typically associated with a certain physiological response (e.g., receiving a vaccination shot triggers an immune response) may trigger a similar response even if it contains no medication. Research also suggests that the placebo effect can be explained at least in part by the production of opioids, neurochemicals that serve as natural painkillers. In other words, both conscious beliefs and non-conscious mental process can have biological effects. The only catch is that it's hard to intentionally use the placebo effect to your own advantage: if you know it's just a placebo, it won't work as well, and it's unethical to intentionally trick someone else (even if you know it's in their best interest). Changing your thoughts can also impact your behavior, which in turn influence the circumstances you find yourself in and the types of events you experience. If you start thinking about yourself as a capable, competent person, you might be more likely to apply for your dream job, or follow up on a reference from a friend, thereby creating (and seizing) opportunities that might otherwise have slipped by. In this way, thoughts can indeed shape reality, and gaining more control over the content of our thoughts can be empowering. But it's also important to remember the limits of the power of thought. As I mentioned in my post on free will, we shouldn't mistake injustice for choice. No matter how hard they try, it is unlikely that people will be able to think themselves out of conditions like poverty, imprisonment, or serious illness. The best we can do is try to understand and relive their plight, rather than judging them. Unfortunately, The Secret's message sacrifices compassion for empowerment. But unsettling as its approach may be, it does carry a kernel of truth - our minds are far more powerful than we realize. And finally, there is always the possibility that things are more complicated than we can currently understand or explain. As much as we would like to have all the answers figured out, it may be that the real secrets of life have yet to be discovered. Well I thinks its true.there has been so many times in my life were I've vizualized something happening like woman staring at me when I walk.lol . idk why. but anyway I went to school and 65% of the girls were staring as I walked by .